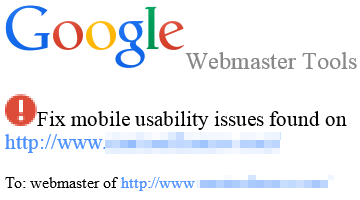 Received A Mobile Usability Issues Notification from Google Webmaster Tools? Google is sending out warning notifications to owners of websites that are not mobile-friendly. Already a feature of our SEO audit, testing for mobile compatibility is important because Google is checking – and if your website does not display well on a mobile device, Google will adjust mobile search rankings for your website appropriately. 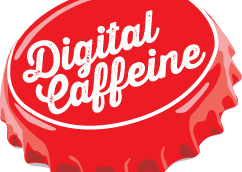 Bottom line – If your website is mobile-friendly, awesome! If not, your rankings in mobile search will suffer. Not good. Test your website for mobile compatibility (a verified Google Webmaster Tools account is required). Follow Google’s guidelines to build a mobile-friendly website. If your website is powered by a modern content management system there are probably some add-on features (plugins) available to adjust your pages when viewed on a mobile device. Read more about mobile customizations here. An actual notification message from Google is shown below. Website links have been changed to protect the innocent. Google systems have tested 195 pages from your site and found that 100% of them have critical mobile usability errors. The errors on these 195 pages severely affect how mobile users are able to experience your website. These pages will not be seen as mobile-friendly by Google Search, and will therefore be displayed and ranked appropriately for smartphone users. Fix the issues preventing your site from being mobile-friendly. Not sure how to proceed? If your site is built with software like WordPress or Joomla (also known as “Content Management System” or CMS), read the easy steps to make a CMS mobile-friendly. Read more about building mobile-friendly websites on our Developer site.